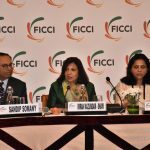 New Delhi: Stating that scientific facts clearly indicate that pollution has an impact on human health, well-being and has long-term implications on Sustainable Development Goals, Union Minister of Environment, Forest and Climate Change, Dr. Harsh Vardhan has said that a healthy environment is necessary for eradicating poverty. The Minister also added that the legitimate priority and needs of developing countries and their rights to equitable access to sustainable development for the achievement of sustained economic growth and social progress need to be taken into account. 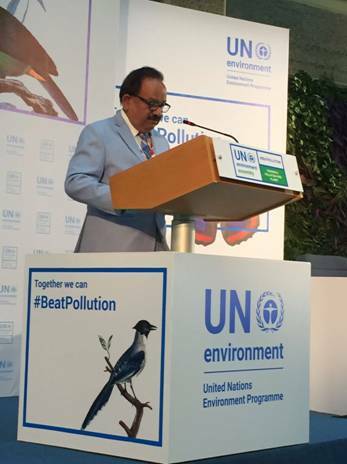 Delivering the National Statement on the second day of the three-day 3rd United Nations Environment Assembly in Nairobi today, Dr. Harsh Vardhan reaffirmed India’s commitment to put forward a healthy and sustainable way of living, based on traditional values of conservation and optimal utilization of resources. “Towards A Pollution Free Planet” is the theme of the 3rd United Nations Environment Assembly.